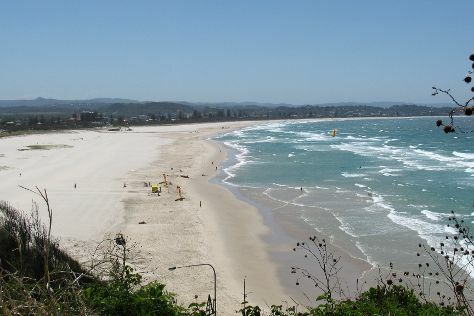 You'll get in some beach time at Burleigh Head National Park and Kirra Beach. Eschew the tourist crowds and head to Kurrawa Beach and Captain Cook Memorial and Lighthouse. Spend the 10th (Sat) exploring the fascinating underwater world at Sea World Theme Park. There's much more to do: stroll through Greenmount Beach, see the interesting displays at Surf World Gold Coast, find something for the whole family at Warner Bros. Movie World, and browse the different shops at Robina Town Shopping Centre. To see where to stay, traveler tips, other places to visit, and more tourist information, refer to the Gold Coast journey app . Kuala Lumpur, Malaysia to Gold Coast is an approximately 12-hour flight. You can also do a combination of flight and train. The time zone changes from Malaysia Time to Australian Eastern Standard Time (Queensland), which is usually a 2 hour difference. Traveling from Kuala Lumpur in August, expect Gold Coast to be colder, temps between 25°C and 11°C. On the 14th (Wed), wrap the sightseeing up by early afternoon so you can travel back home.